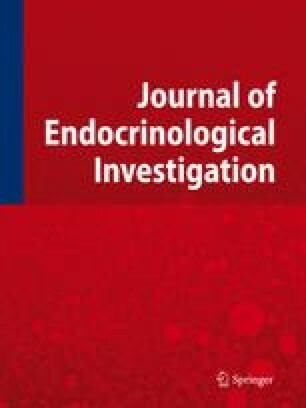 Ultrasound-guided ethanol injection (PEI) is an effective treatment of autonomously functioning thyroid nodules (AFTN) but little is known about the tissue lesions induced by alcohol. We report morphological changes of an AFTN which was removed after successful PEI treatment. At histological evaluation, the adenoma showed multiple areas of coagulative necrosis with eosinophilic ghost follicles, hemorrhages, small vessel thrombosis and a wedge-shaped hemorrhagic infarction. The peripheral adenomatous tissue and the surrounding thyroid parenchyma were free of regressive changes and/or lympho-monocytic inflammatory reactions. Enzyme histochemistry confirmed the hyperfunctioning character of the lesion and showed reduction of succinic dehydrogenase and cytochrome-c-oxydase activity in the viable tissue surrounding the central necrotic areas. By electron microscopy, the hyperfunctioning follicular epithelium showed submicroscopical alterations of the adenomatous cells surrounding the areas of coagulative necrosis. These results suggest that control of hyperthyroidism, after PEI, is due to: a) directly induced, irreversible damage (coagulative necrosis and vascular thrombosis with hemorrhagic infarction) in the central areas of the lesion; b) potentially reversible damage (reduction of intracellular enzyme activity and ultrastructural changes) in the peripheral areas.